Wednesday, September 27, 2017, 7:30 p.m.
Deb Olin Unferth is the author of four books, most recently the story collection Wait Till You See Me Dance. Her fiction and nonfiction appears in Harpers, The Paris Review, Granta, Vice, Tin House, the New York Times, and McSweeneys. 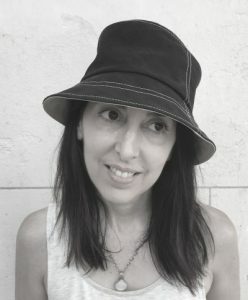 She received four Pushcart Prizes, a Creative Capital grant, and was a finalist for the National Book Critics Circle Award. An associate professor at the University of Texas in Austin, she also runs a creative writing program at the John B. Connally Unit, a penitentiary in southern Texas. Wait Till You See Me Dance consists of several extraordinary longer stories as well as a selection of intoxicating very short stories. In the chilling ‘The First Full Thought of Her Life,’ a shooter gets in position while a young girl climbs a sand dune. In Voltaire Night, students compete to tell a story about the worst thing that ever happened to them. In ‘Stay Where You Are,’ two oblivious travelers in Central America are kidnapped by a gunman they assume to be an insurgent?but the gunman has his own problems.